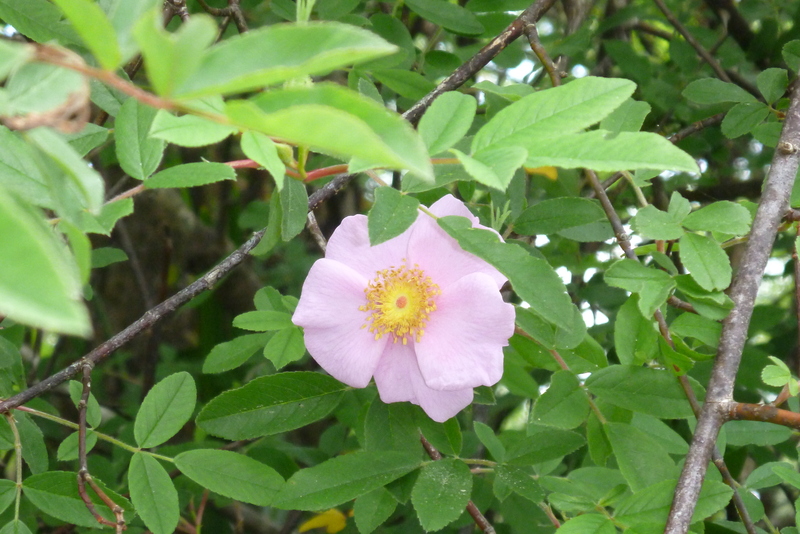 Swamp Rose — in a few weeks the many bushes will fill the creek with its fragrance and pink blossoms. Summer weather too soon. Thunderstorms or rain predicted for the week and we chanced today’s opportunity to paddle Womack Creek. Our last visit was 16 days ago and so much has happened on that creek: the American wisteria, a thickly clustered and fragrant native species, bloomed in the interval and deprived us this year of their blooms and their scent. 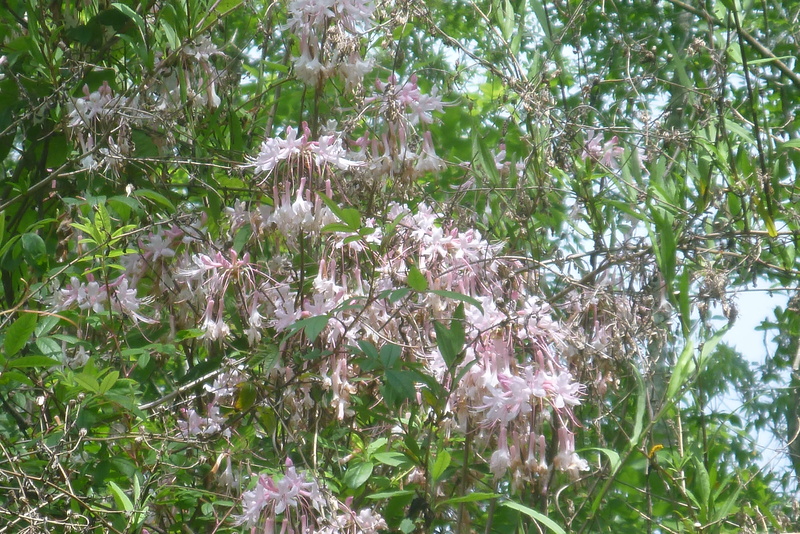 All but the last few pinxter azaleas have bloomed, but the stalwarts in the shade still can outshine the swamp dogwoods which peached their peak in the interval. Spring memories can easily fade when these flowers are stepping into the spot light. 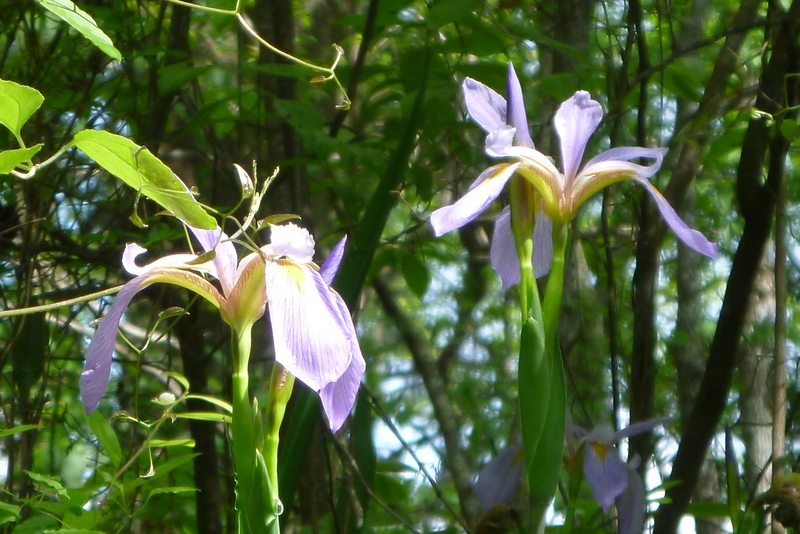 Blue flag iris in a short branch of the creek. 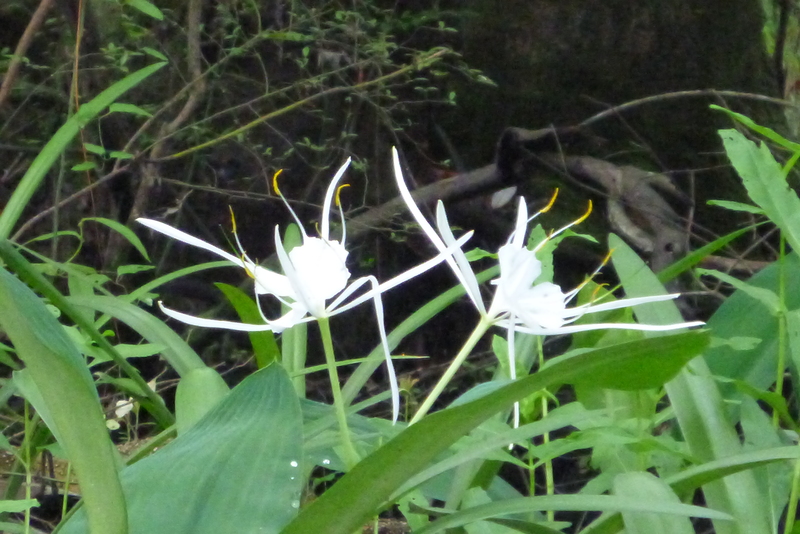 When the patch is all in bloom the cow creek spider lily resembles a merry troupe of dancers. 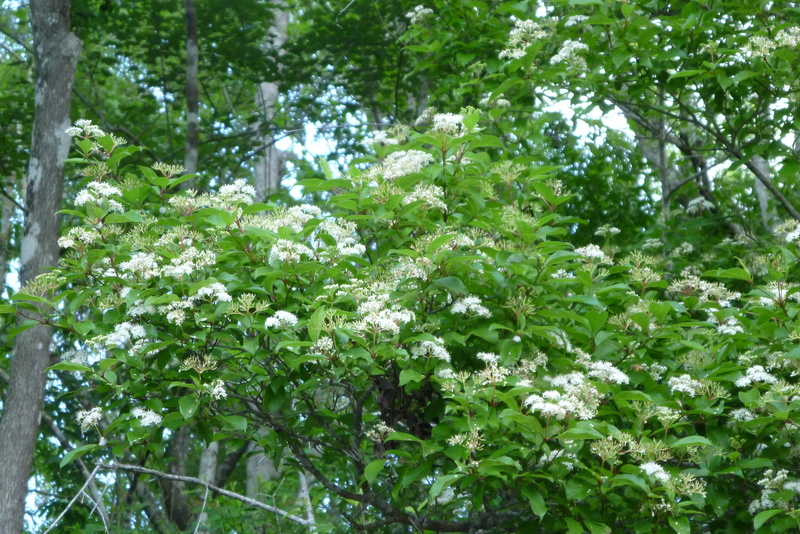 Swamp dogwood, a few stands still blooming, but most are going to seed. 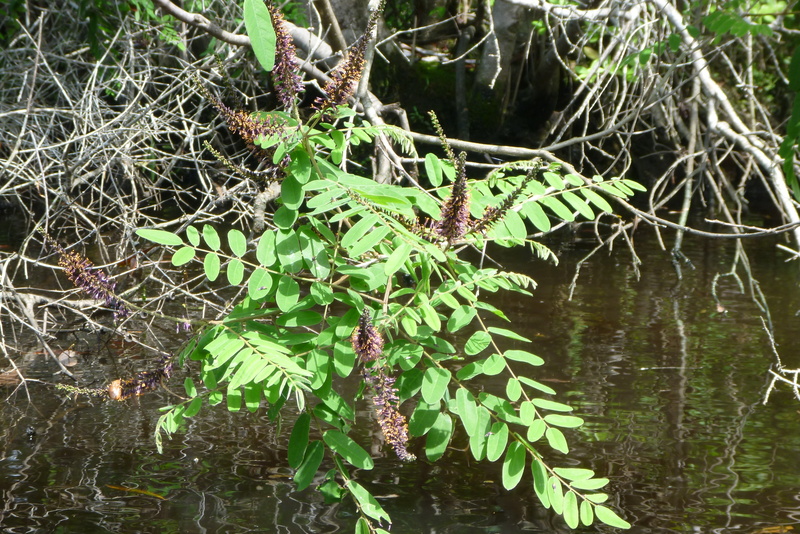 False indigo, a favorite of insects. 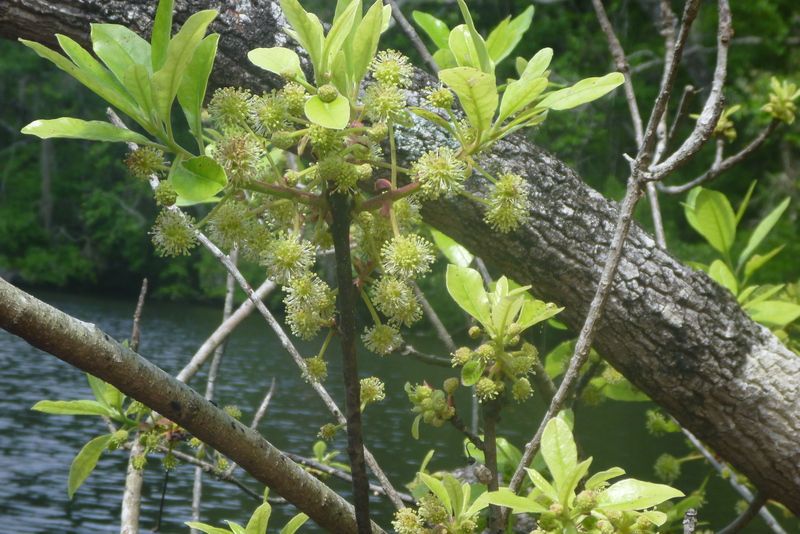 The source of the non-sugaring tupelo honey, Ogeche tupelo blossoms beginning to bloom and a few honeybees have already found them. 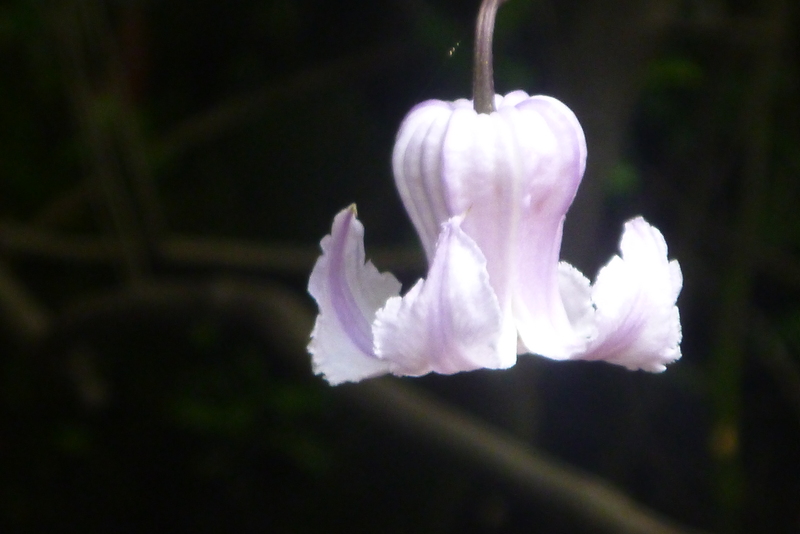 Clematis crispa, you’ll have to look to find them — this year they are less clustered along the vines. But you won’t have to search for these; with their bright yellow faces, they call for attention. 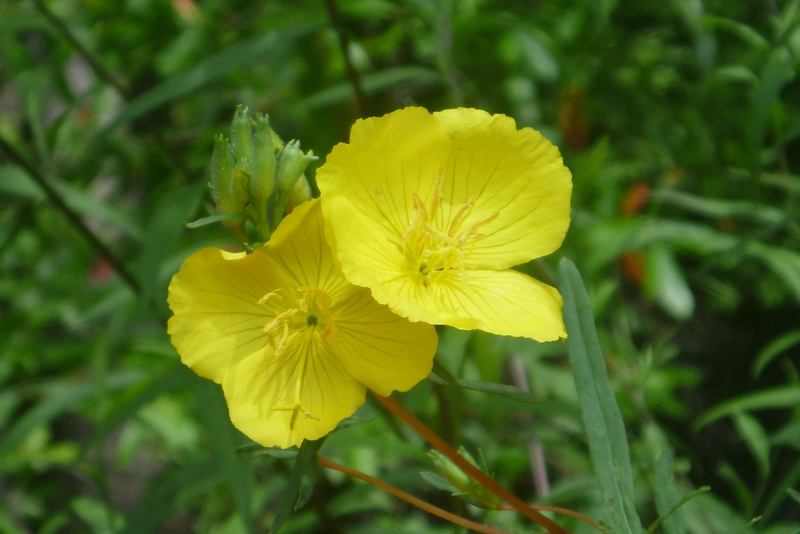 Narrow leaf evening primrose. A few Virginia sweetspire still blooming. 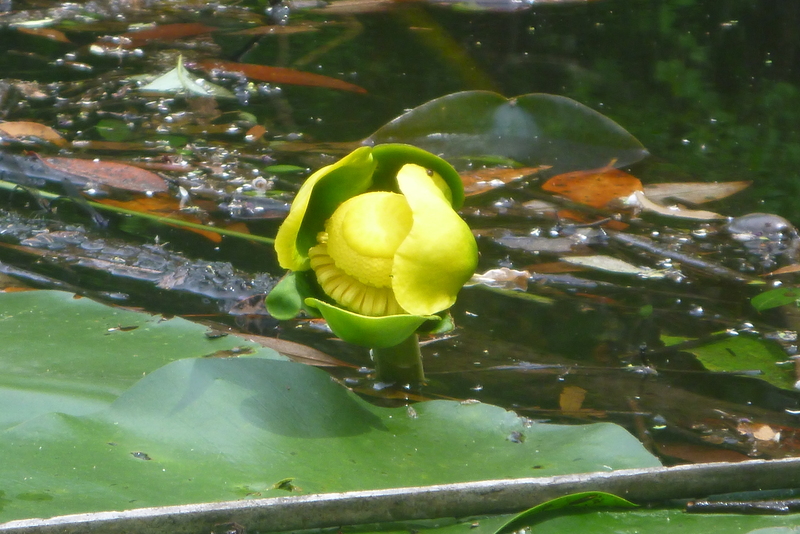 A sure sign of summer, spatterdock. 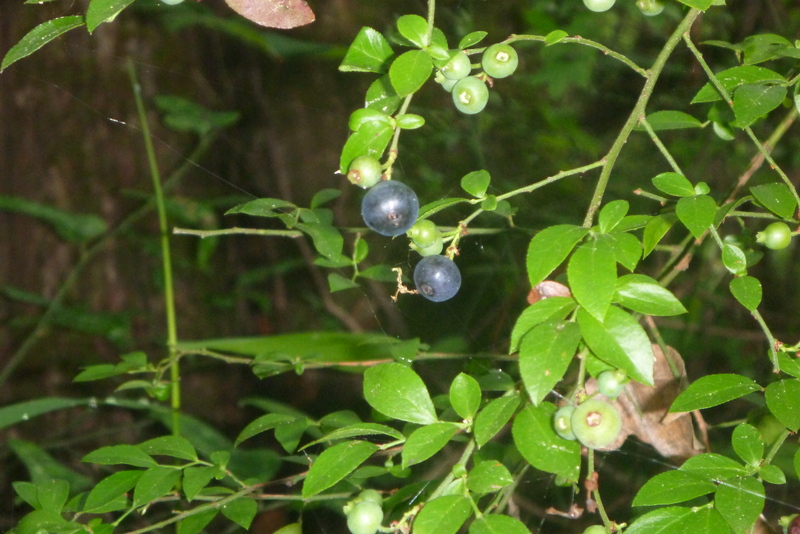 and…highbush blueberries! Each bush differs in taste, some tart, some sweet, some tart-sweet. This calls for sampling. 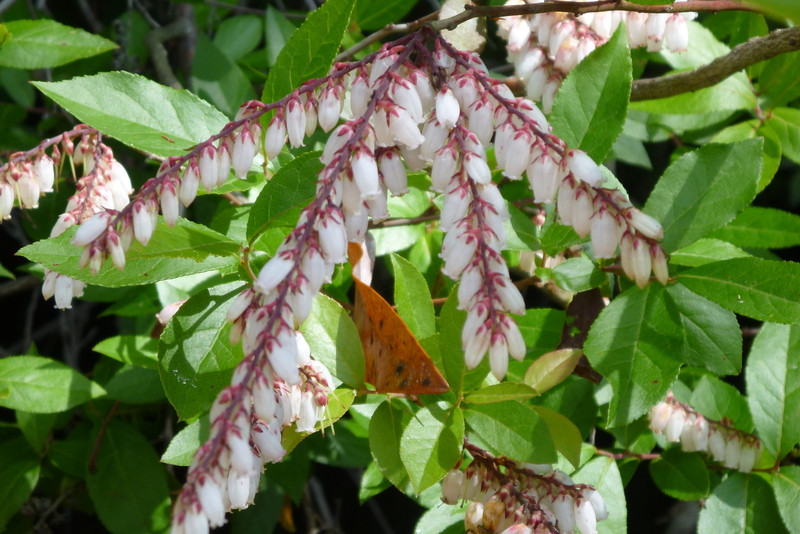 This year the bushes are loaded, so sample some, there’ll be enough for the birds. 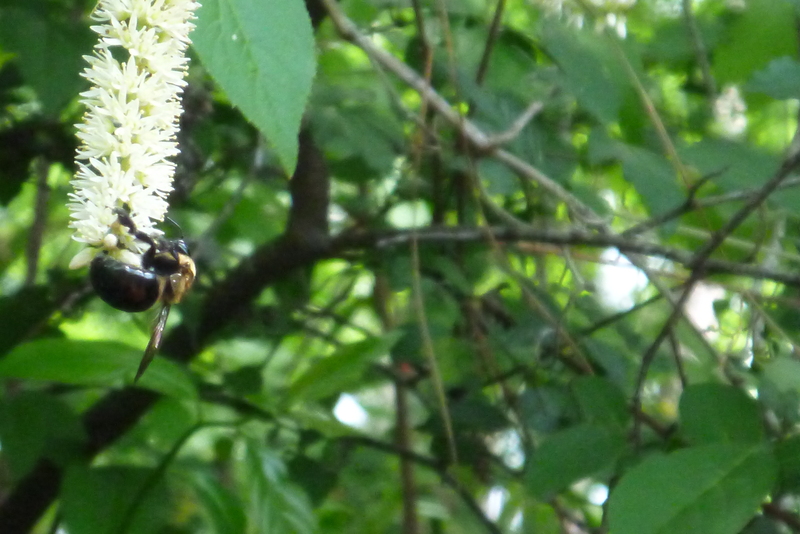 Another sign of early summer — carpenter bees on Virginia sweetspire. 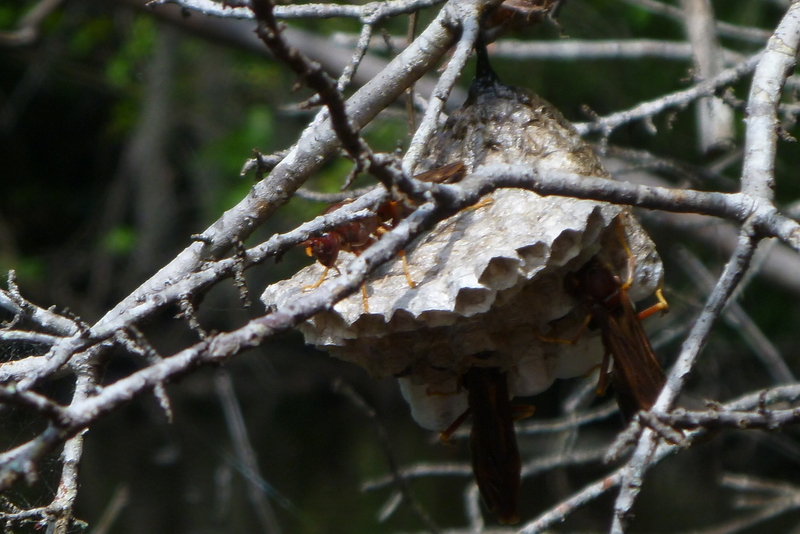 A colony of busy wasps. Tah dah!!! 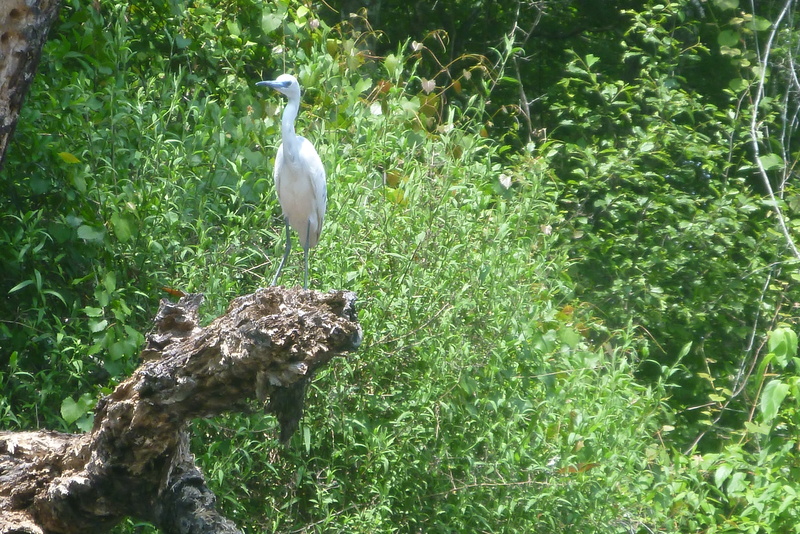 A beautiful juvenile little blue heron. There are more blooming plants and trees on this 3.75 mile of Womack Creek than almost any other creek in the Panhandle. The last trip we destroyed what we hoped is the last of the invasive Japanese climbing ferns (3 locations). Today we dug up the first of the invasive taro plants, off the shoreline requiring some slogging to get to it. 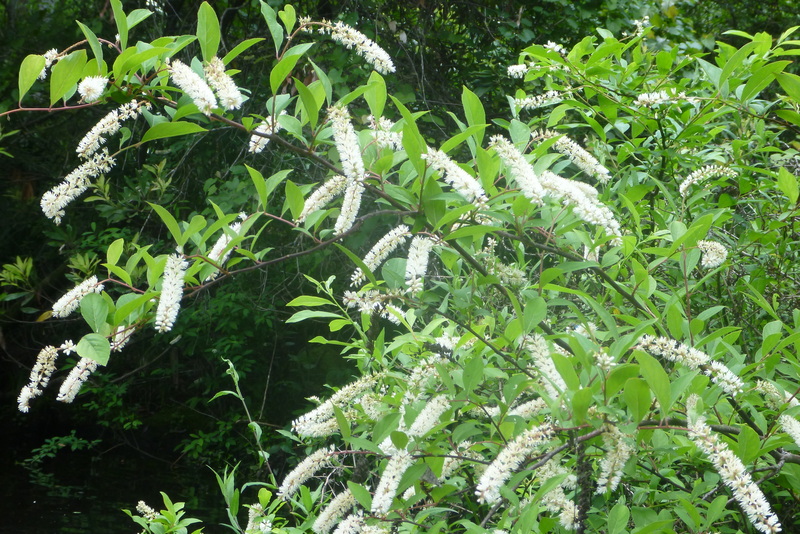 To our knowledge Womack Creek has no exotics, only native plants and trees. 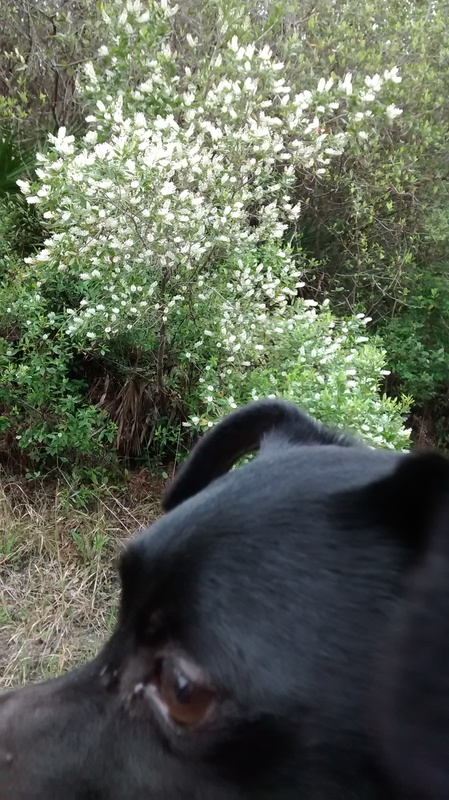 This entry was posted in Native Wildflowers, Tate's Hell State Forest, Tate's Hell wildflowers, Womack Creek and tagged Florida native wildflowers, Paddling Tate's Hell State Forest, Tate's Hell State Forest, Womack Creek paddling on April 14, 2015 by marylynanded. 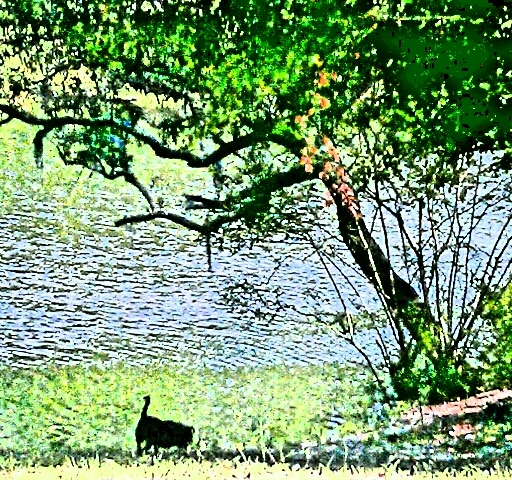 This was sent by David Fielder, who colorized a photograph of his favorite friend, Fat Boy, enjoying an exploration along Crooked River, Tate’s Hell State Forest. 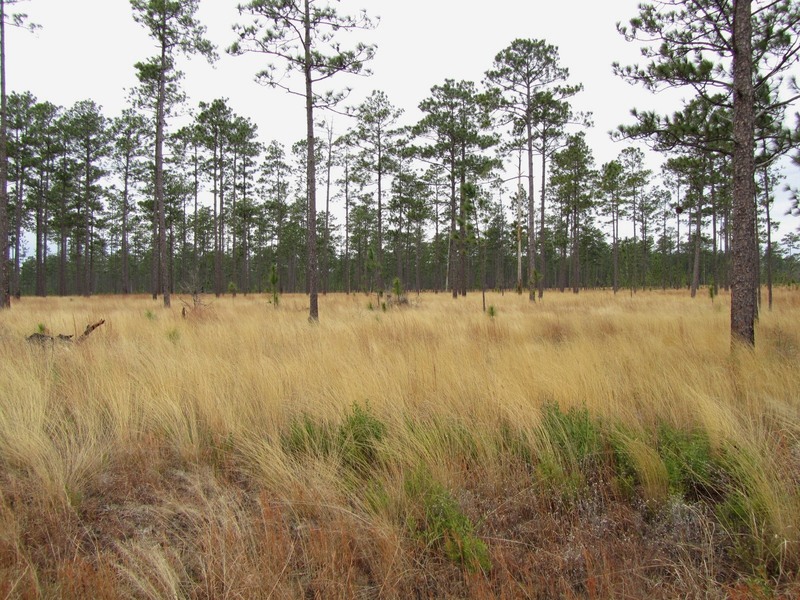 This entry was posted in Crooked River, Tate's Hell State Forest on April 13, 2015 by marylynanded.